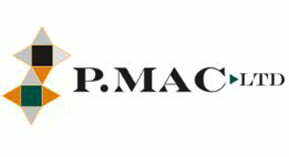 We at PMAC are delighted to announce the addition of Ger Edwards, formally of Edwards Brothers to our team. Ger has over 20 years’ experience in the art of stone and brick restoration and conservation and will enable us to extend our service offering in this sector. 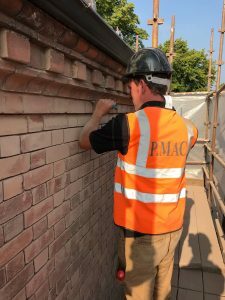 The addition of Ger to the PMAC teams allows us to offer complete specialist stone & brick restoration and conservation services across the residential and commercial sector. As heritage contractors specializing in stone cleaning and stone restoration we have taken Ger on board to broaden our skills and expertise. In the current climate there is definitely more enthusiasm for the restoration and conservation of heritage buildings, inside and out. With the upsurge in the construction industry we find, this time around, there is definitely more of a desire to employ skilled craftsmen and Specialist teams to carry out the careful restoration of buildings using traditional building skills. A lot of lessons have been learned from the past and there is greater understanding of the fact that the fabric of a building can only be restored using the same methods and materials that were used when the building was originally built. Also, it is now accepted that this type of work can only be entrusted to Specialist contractors who have learned and honed their craft over many years from skilled crafts people. The restoration of a building must enable the building to exist into the future and not necessarily go back to the way things were. When undertaking the restoration of a building, the first question we ask is the intended future use of the building. 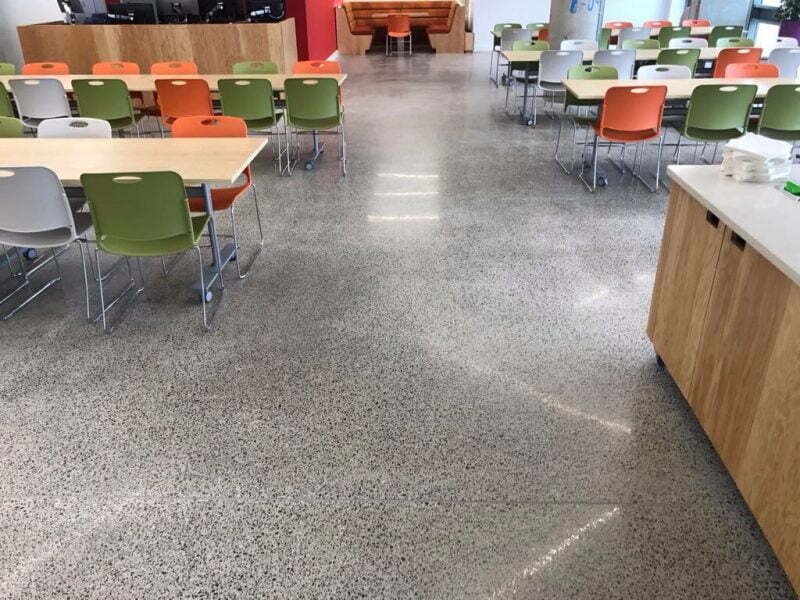 We have extensive experience restoring heritage floors and always adhere to the notion of minimum intervention. There is no point budgeting huge amounts of money to restore a building to its original fabric if the building cannot be maintained. Ger has a real passion for his trade and a fantastic understanding of traditional structures and techniques required to bring heritage buildings back to life. Ger started off his career as an apprentice stone mason at Stonecraft in Co. Wicklow. Here he learnt his trade and fell in love with the art of stone masonry. At Stonecraft he learned skills such as stonemasonry, building stonewalls and houses, paving and decorative stonework. After spending 4 years learning his trade with Stonecraft he moved to the UK to learn more about the art of stone and brick restoration and the conservation of heritage buildings. He spent 2 years with the Sapcote Group based in Birmingham. Here he gained invaluable experience in the art of brick and stone restoration and conservation. Conservation and restoration works during his time with Sapcote included stone mortar repairs, lime based repairs and plastering, stone graphs, repointing works, Flemish bond and English bond brickwork. Here he gained experience working on prestigious heritage projects such as the ongoing restoration of Lichfield Cathedral, Birmingham Cathedral and the sumptuous Portland stone Headquarters of Wragge and Co in the centre of Birmingham. In 2004 Ger returned to a very buoyant Irish economy and set up his own Stone and Brick restoration Company, Celtic Stone. Here he carried out many restoration and conservation projects for main contractors in the stone industry. However, the economic boom came to a sudden halt and budgets for restoration and conservation were one of the first to get hit. Ger braved out the storm of the downturn in the economy before joining Summit Conservation in 2011. Here he managed a specialist conservation and restoration team working on the restoration of buildings such as St Kevin’s Church and Kilmainham Court House. He then moved on to join an alliance with his brothers to form Edwards Bros Conservation. The list of restoration jobs Ger managed over the years is very impressive from Trinity College, The Loretto to Richmond Barracks. His most recent achievement and jewel in the crown however has to be the entire restoration of Adare Manor. 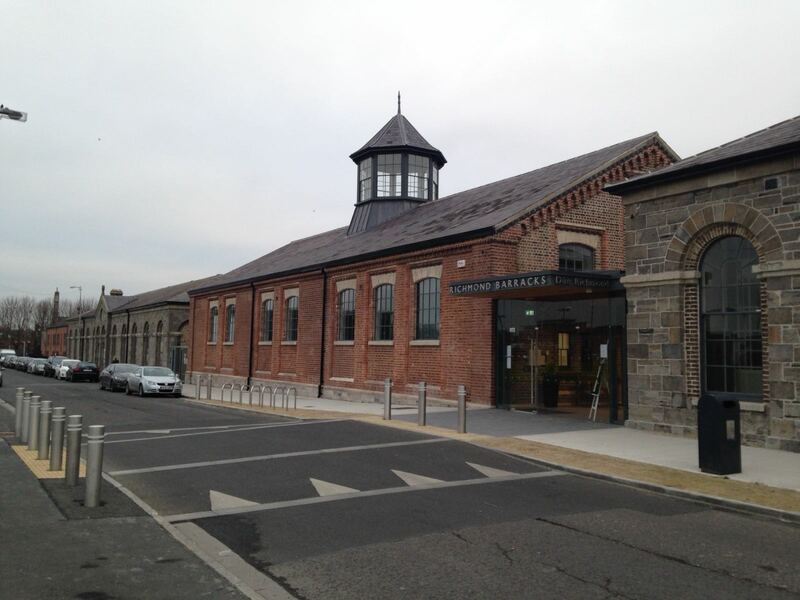 Ger and his brothers managed the complete conservation and restoration of the entire stone and brick work of this magnificent building for John Paul Construction. While Ger recruited and trained a team in the art of specialist re pointing, brick repairs, stone graphs and lime plastering his brothers concentrated on the restoration and conservation of the heritage roofs. Ger’s passion for his trade shines through when he starts talking about his projects or on site pricing a job. We are extremely pleased that Ger decided the day to day commitment of running a business was not for him and he preferred to concentrate on what he enjoys best, getting stuck into the restoration and conservation of heritage buildings and finishing them to the highest standard. Ger is bringing a wealth of knowledge and experience to our team and this is gelling extremely well with our resident specialist stone repair craftsmen who have been with us for some time. In the past we have shied away from larger stone and brick restoration projects as we didn’t have all the necessary skills and manpower to take on the bigger and more varied challenges these projects throw up. We concentrated on our core competences, cleaning and restoring stone and brick surfaces. We carried out very detailed specialist restoration works on smaller niche projects. Ger is now however adding a wealth of skills and experience to the team. 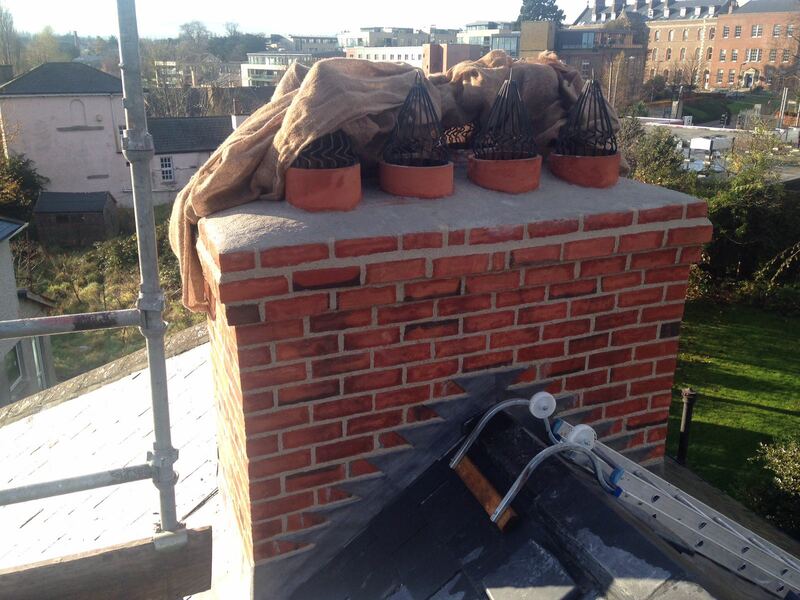 We are now in a position to undertake large specialist stone and brick conservation and restoration services. 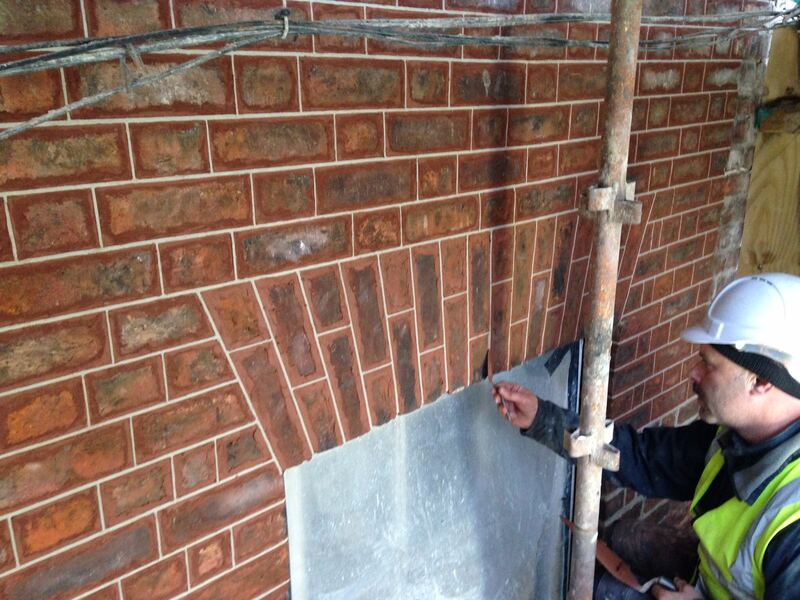 We can now offer all the traditional and specialist re pointing works required for such projects including Irish wigging, English tuck, Flemish and English bond brickwork. We can now also offer lime plastering, stone graphs, helifix crack stitch repairs as well as detailed decorative plaster repairs by our existing team. Not only is Ger bringing his wealth of knowledge to our team but more importantly he is bringing his passion and pride in the work he does. This is the perfect fit for our already very proud, experienced and passionate team. He has already got off to a flying start with the complete restoration of a red brick façade on a residential property on Palmerstown Road. The entire façade was cleaned, all mortar joints raked out and re pointed with lime mortar. 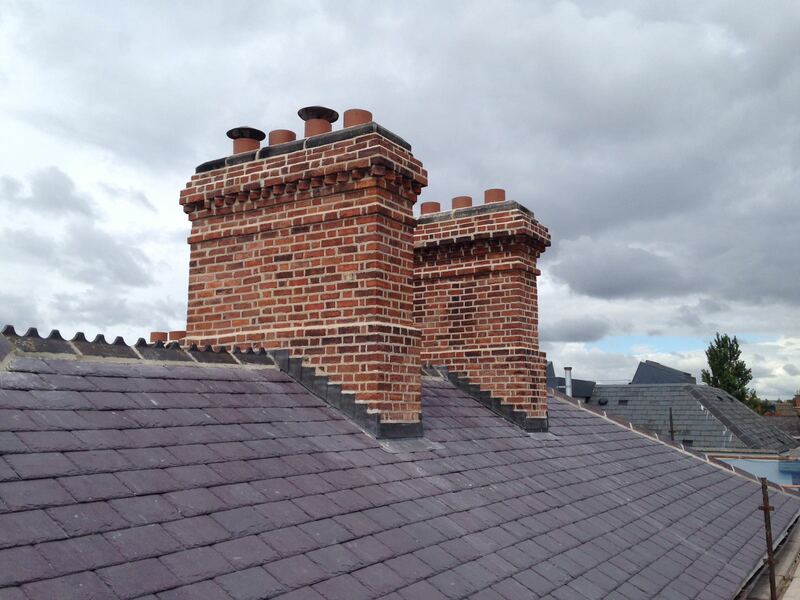 We also completely restored the chimneys on the property carrying out structural and aesthetic repairs. If you would like to enquire about our specialist conservation and restoration services please get in touch at info@pmac.ie and send us details of your project. We would like to keep Ger nice and busy!